It's palette appreciation week, a major throwback to one of my first custom palette. 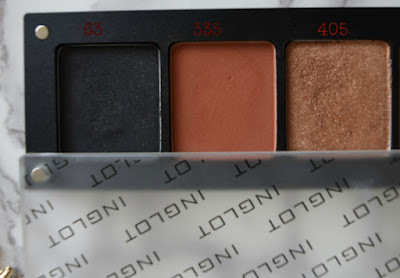 Inglot has some bomb.com shadows that can knock higher end brands out of the park any day. 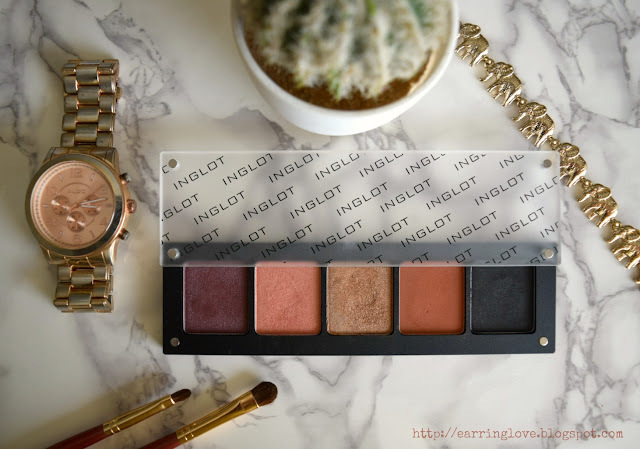 Inglot has a huge selection of eyeshadows with different finishes that you can buy either as singles or in a pan form. The Freedom System (pan form) eyeshadows as they are called enables you to customize your own little palette. You can buy the shadows and magnetic palette separately either online (Nykaa/Majorbrands) or from the standalone stores. I bought mine from Majorbrands. The shadows come in a normal cardboard packaging. 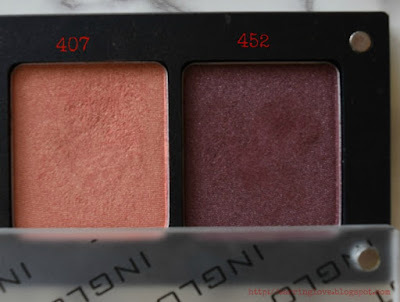 The eyeshadows are protected by a plastic covering. If required, you can store your shadows in the plastic cover. Each shadow is housed in a rectangular metal pan and you can buy a separate palette or store it in your Z-palette. 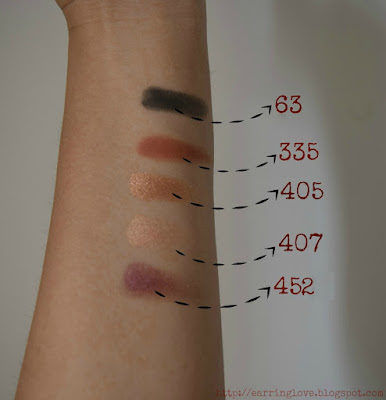 The magnetic palette I own has 5 slots; there are plenty of options available on the website. 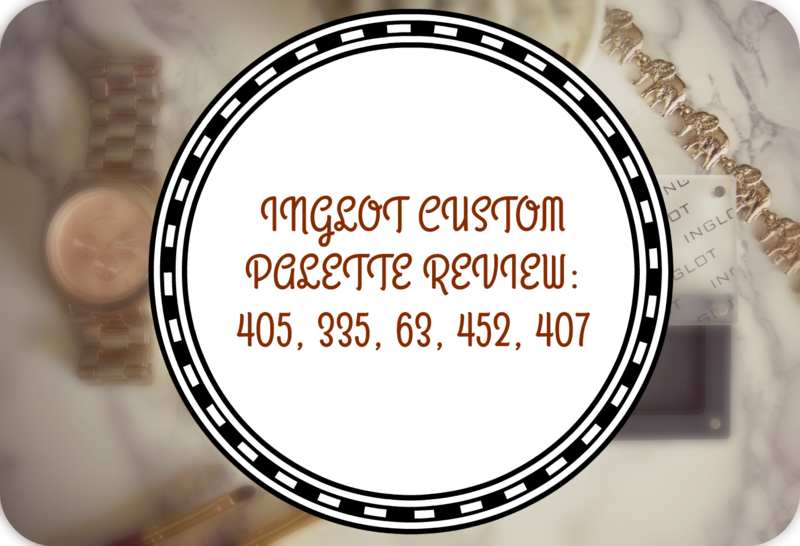 The cover of the palette is made of frosted glass and is held in place by the magnets on the four sides of the palette. The cover can be removed completely. The magnetic holders are quite strong, hence the shadows won't pull out without a bit of hardwork. 452: Pearlized plum with a golden sheen. 335: Matte deep orange-brown. 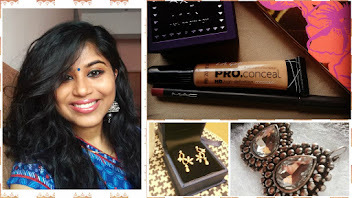 Perfect crease shade for tan-dark skin. 63: Demi-matte black with a bit of gold sparkles. 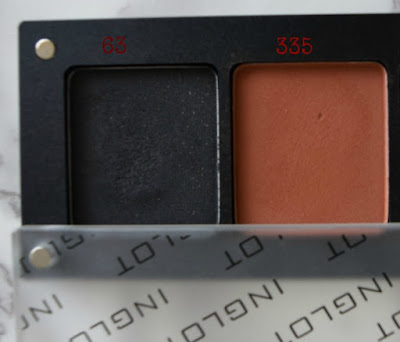 Matte shades are extremely blendable. 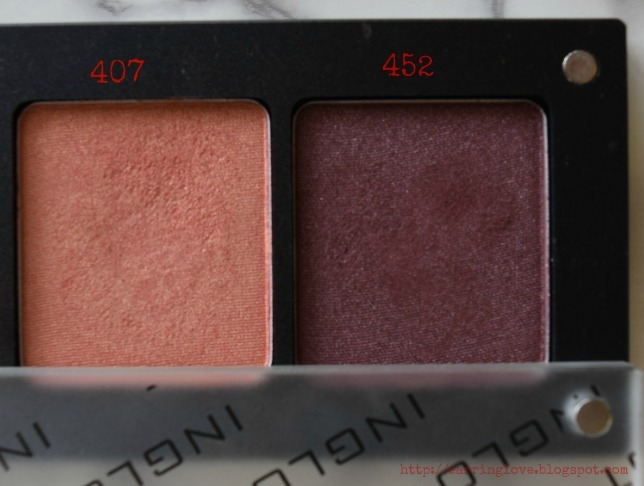 There is very minimal fallout from both matte and pearlized shadows. Stays on my oily lid for 6-7 hours without creasing. The shade 63 (Black) is slightly patchy and needs work to apply evenly.